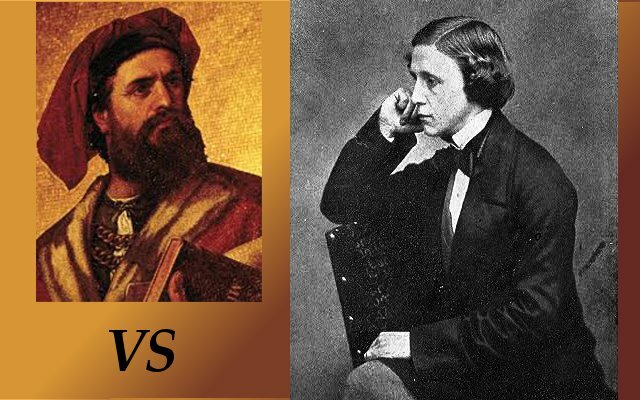 What if Marco Polo fought Lewis Carroll? What if Columbus had access to robotics? What if Montezuma was indirectly responsible for the Klondike Gold Rush? What if the destruction of the Hindenburg involved witch-hunters? What if the fall of Mankind from the Garden of Eden involved forbidden knowledge? It reminded me of the theory that a room full of monkeys tapping at keyboards for an infinite time period will eventually type Hamlet. As a writer, I'm full of ideas, but sometimes none of them are the right idea for the moment, or they're just not gelling. When I need inspiration, sometimes the randomness of these generators will spark an idea that my imagination then builds a fire with. You'll find all sorts of generators online: completely random but sometimes intriguing nonsense like above, customizable back-cover blurbs created from information you input, alien world generators, etc. Obviously, your own imagination should do most of this for you, but taking a few minutes to laugh at the randomness will prime your creative pump if you find you're stuck in a rut. Here's Seventh Sanctum's What-if-inator, where I got the above what ifs. These ideas remind me of a commercial I saw the other day. They were texting in medieval times - or something like that. When I saw it I thought, "How fun it would be to write a story that involved that." Thanks for the ideas! Happy writing, everyone! Melinda, this is such a great idea for generating writing ideas! Thanks for sharing. The Marco Polo fights Lewis Carroll one reminds me of the "Epic Rap Battles of History" series by Nice Peter. Melinda, randomness is a big part the motivation behind my obsessive travel! And when I'm editing, I try to go back and find random ways to express things instead of the same old. You know. Metaphors. Verbs. thanks for this!